Liverpool legend Ronnie Whelan feels the Reds showed their resilience and ability to fight back against Burnley on Wednesday night at Turf Moor. Jurgen Klopp’s side went behind to a Jack Cork goal in the 54th minute, but hit back through James Milner and Roberto Firmino to take a 2-1 lead within 15 minutes of conceding. 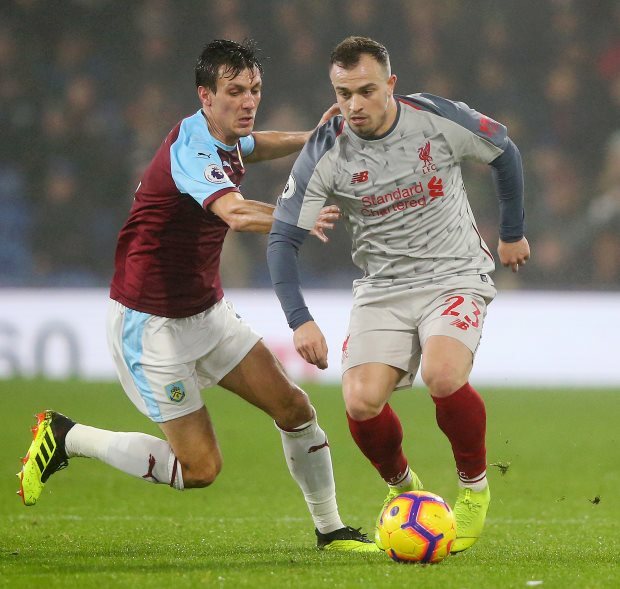 Xherdan Shaqiri put the finishing touch to the game as Liverpool emerged 3-1 winners at Turf Moor to remain two points behind Premier League leaders Manchester City. Liverpool looked sluggish in the first half as Klopp made seven changes to the team that started against Everton on Sunday, but the Reds dug deep to pick up the important win. Whelan explained that the team would have lost the game years ago and the win shows how far the Reds have come under Klopp this season. “Years ago we'd lose that game and we've said that a lot this season”, Whelan told LFC TV after the game. “Other games away from home where you know it is going to be a battle, and it was a horrible battle for 45 minutes of that game. Liverpool have another tricky game against Bournemouth away from home on Saturday in the Premier League.